A few months ago, I sent out an email to all of the real estate agents in my office to ask what they are using as a contact relationship manager (CRM). I’ve been spending way too much money on Top Producer, the biggest real estate CRM on the market, and decided it was time to find a less expensive and less complicated system to manage my contact information. I was really hoping that one of the agents in my office would come up with some idea that I had overlooked. I’ve already used Top Producer, My Red Tools (the Keller Williams version of My Real Estate Tools), ACT and IXACT Contact. Subscription fees can run $30-50 per month. 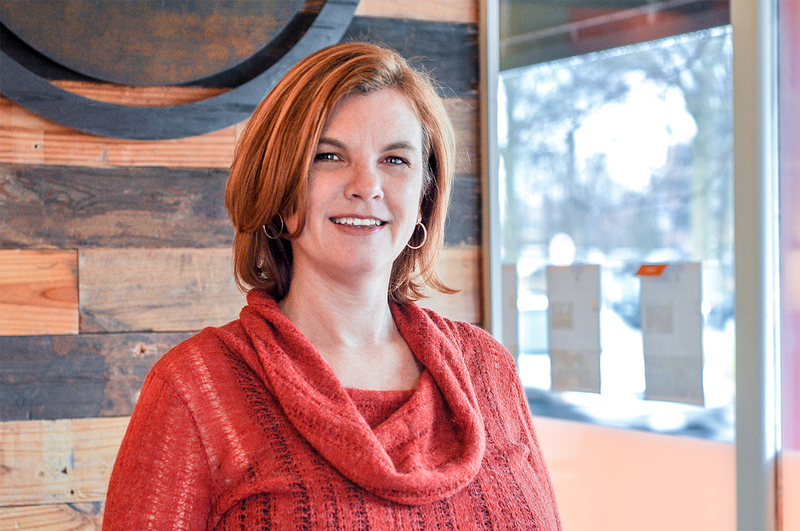 As independent contractors, real estate agents pay for services like CRM systems ourselves so finding a cost efficient service that does what I need it to do is important to me. Before I tried the CRMs, I kept my contacts in Excel. While Excel does allow you to store phone numbers and addresses, it isn’t a good way to manage contacts if you want to be successful in real estate…or any other business where relationship building is important. Not to mention there is no easy way to access the information when you are away from your computer. Have you ever tried looking up a phone number or address on Excel on a cell phone? Unfortunately, the response I got from my coworkers was that they were managing their contacts using Excel, Gmail or their phone’s contact list. I don’t want to clutter up my phone’s contact list with every business contact I have, and I know I need a full feature CRM in order to build business relationships. DISCLOSURE: This post is sponsored by Insightly via Sverve. I received compensation via payment or product to write this article. I only recommend products or services I use personally or believe will be good for my readers. I was given the freedom to write what I wanted and this content reflects my true opinions. I hadn’t heard of Insightly until recently and now I’m kicking myself for spending all of that money on expensive CRMs over the years. Insightly’s forever FREE plan is perfect for small business professionals, real estate agents, mortgage brokers and bloggers. Since Insightly isn’t built for any specific industry, it isn’t overly complicated with tabs of fields that the average user won’t end up using. The ability to add custom fields makes it work for just about anyone. Real estate agents will also love that multiple addresses can be added to a contact record so you can include the addresses of investment properties in addition to a work and home address. Insightly does have a paid plan with upgraded features starting at just $29/month (still cheaper than most of the other plans I have used). But for me and many others like me, the free plan gives me everything I need. This video gives you a quick summary of Insightly. What struck me right away is that Insightly isn’t complicated. It’s easy to scan the website and find everything you need. It doesn’t take a lot of clicks to get anything done and when you do have to switch tabs, the pages load very quickly. I didn’t need to use the Help tab at all to figure out how to use Insightly, but I did check it out for this review. It was easy to find what you were looking for and and the help section gives you complete yet simple answers so you can get back to work. BUSINESS BUILDING TIP: Don’t try to reinvent the wheel. Reading Insightly’s blog offers great information on how to use your CRM to build relationships and work smarter. It is very easy to import your contacts into Insightly. Since I was switching from Top Producer, I had all of my contacts in a CSV file. Before I imported my contacts, I cleaned up my spreadsheet, which I highly recommend. To see what fields Insightly offered, I clicked to start an import and looked at all of the fields available and then cancelled the import since I needed to modify my address fields. Top Producer separates the first line of an address into separate fields for street number, direction, street name, suite number and suffix. Insightly puts all of this into one field. It was faster to convert the multiple fields into one field in the spreadsheet rather than editing every record after the import….so I took care of this before I completed my import. 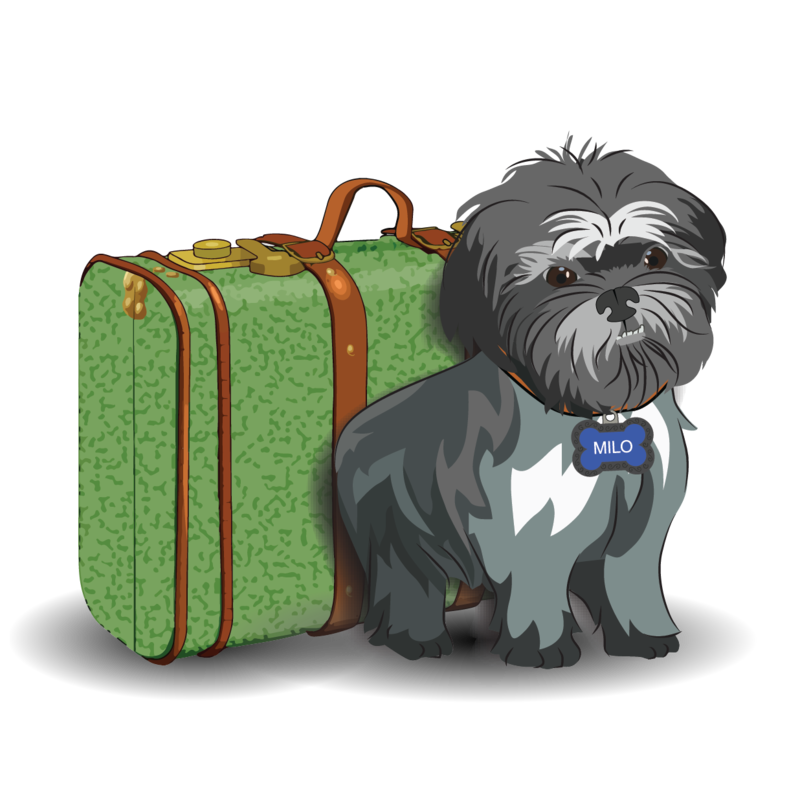 One note to be aware of if you sign up for Insightly….you need to first import your contacts and then go back and do a 2nd import to add your NOTES field. I’m not sure why it can’t be done in one step, but I didn’t mind this added step since it was so easy to do. The way Insightly handles contact records is my favorite thing about Insightly. The contact summary list can be sorted by first or last name. You can also display the records by either “Karen Goodman” or “Goodman, Karen”. I think most people have a strong preference on how their contacts are sorted and displayed, so Insightly made a good move by allowing users to make this choice for themselves. From the summary contact page, you can select a single contact or pull up all of the contacts that start with the same letter in one click. The summary page also displays a clickable email address, phone numbers, company name, position, and tags. Once you open up a contact record, you see all of the contact information on one page. This is a HUGE improvement over the multi-page view used by Top Producer. You can easily edit everything in the record from this screen and you can even add a profile picture. The main contact tab also includes the history of your contact. Addresses come with map links and email addresses are clickable too. Very smart move by Insightly! With one click, you can access items associated with the contact – tasks, emails, notes, files and events. BUSINESS BUILDING TIP: If you multiple email addresses for a contact, make sure you add them all to your contact record. You never know when the primary email address will bounce back and you’ll be glad you have a backup. Rather than a complicated system for assigning contacts to groups, Insightly uses tags to make it easy to pull up a subgroup of users. You can add or remove tags for each contact with one click, or mass update tags for a group of contacts. I haven’t gone through all of my contacts to create a complete tag list yet, but I’ve already created tags for Clients, Seller Prospects, Buyer Prospects, Investor, Referral Source, Family and NCJW (an organization where I volunteer). With an unlimited number of tags, you can create subgroups of users for just about everything. 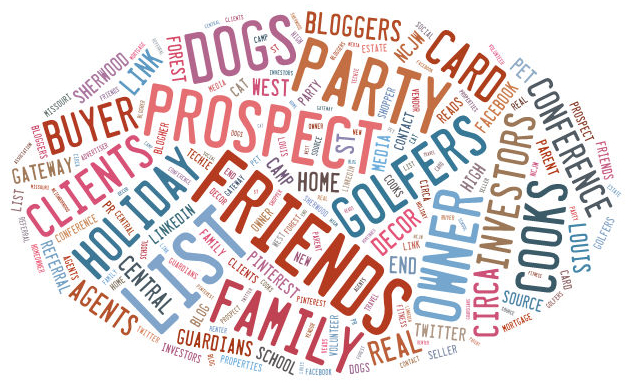 You could create tags for friends, golfers, bloggers and your holiday card list. This feature alone is worth using Insightly. Imagine creating a tag for everyone you met at a conference or all of the people who like funny pictures of dogs. No more mass emailing things to people that won’t interest them. Instead, use your tags to build your relationships by sharing with them only the things they care about. All of your tags are listed on the right side of the screen on the contact summary page, so with one click you can pull up all of the contacts that have been given one of your tags. One of the challenges I’ve had with every other CRM I’ve used is how to deal with couples. Do you put both people into one record or give them 2 separate records? Top Producer allows you to add a spouse and children to a record, along with contact information for the spouse. However, if you do a search or a mass email, the spouse is simply a supplementary field and doesn’t get included. That’s a problem for me when I know both parties well. I want my emails to go to both people, not just one. On the other hand, if I set up 2 records with complete information, most systems don’t let you tie the records together. And if I create mailing labels, then I’m sending 2 pieces of mail to the same address. My solution in the past has been to create 2 records if I have an email or phone number for both parties, but only list the home address on the first alphabetical record. Then I add a note to each record identifying the spouse. First, I set up a custom field for the spouse’s name since I don’t always have a contact record for the spouse. I also added a custom field for envelope salutation to use for mailings. For the couples who I have contact information for both people, I created a record for each person and linked them together as spouses. If the default list of relationships doesn’t define the relationship between your contacts, Insightly lets you add a custom relationship. 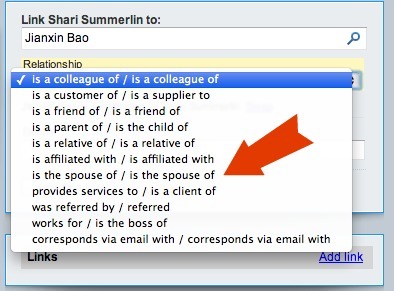 BUSINESS BUILDING TIP: Use the relationship links to keep track of who knows who. If you mention people you both know when chatting, they’ll be amazed at how well you remember them. 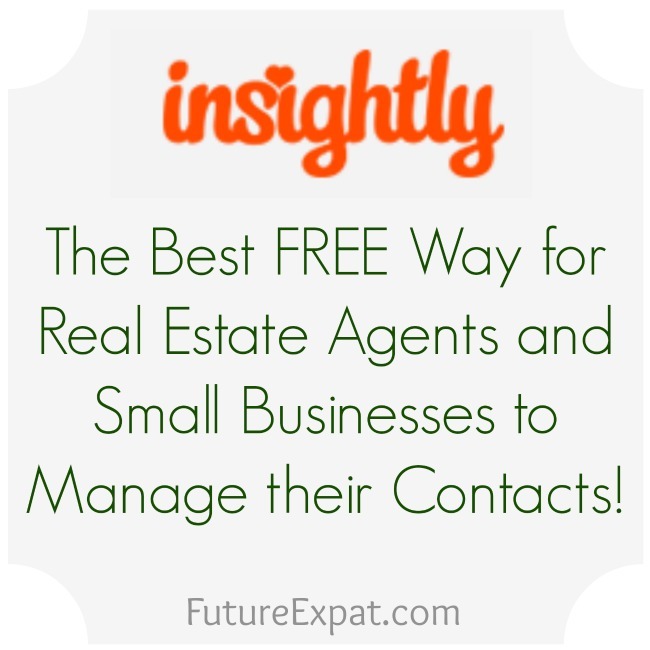 Insightly makes it easy to find contacts. You can scan the full list. You can pull up all of the contacts that start with any letter of the alphabet. You can pull up all of the contacts assigned a tag. You can also use the quick search bar at the top of every page. If you want to pull up a subset of contacts, you can use Insightly’s filters or create your own custom filter. FYI…in order to protect the privacy of my contacts, I pulled up contacts that start with Z so you wouldn’t see my contacts phone numbers and email addresses. I guess I need to meet some Z-named clients! The default filters are a great way to pull up contacts that you added on the fly or from an online form so you can complete their records or make a follow up call for new contacts. If you want to stay in close touch with your contacts on a regular basis, the filter that pulls up contacts without any new notes in the last 7 or 30 days will show you who you need to call. Or you could create a custom filter of your own to pull up any set up contacts quickly. BUSINESS BUILDING TIP: Pull up all of your contacts without an email address and use this as an excuse to call them and get their email address. It gives you something to talk about when you call and gets you their email address, making it easier to stay in touch in the future. Don’t forget to get permission before adding them to your email newsletter! If you send an email directly from a contact’s record, the email is automatically attached to the record along with any attachments in the email. While this is a nice feature, I find that most of my emailing happens in my regular inbox, not through my contact manager. Insightly makes it easy to keep your records up-to-date while letting you use the email service of your choice. Just copy or bcc: Insightly with an email address for your account and the system will find the record with the matching email and attach the email to it. You can also do this by forwarding an email you have received to Insightly. BUSINESS BUILDING TIP: Instead of copying Insightly on every email exchange, wait for the final email in a back and forth series and then forward that email to Insightly. You’ll appreciate not having to read through dozens of emails the next time you go to refresh your memory about a client. Some of the other CRMs I’ve used have some level of social media integration, but I’ve not seen anything as comprehensive as what Insightly is doing. The system automatically searches the social web for accounts using the emails in your contact records and list clickable links to all of the profiles it finds. 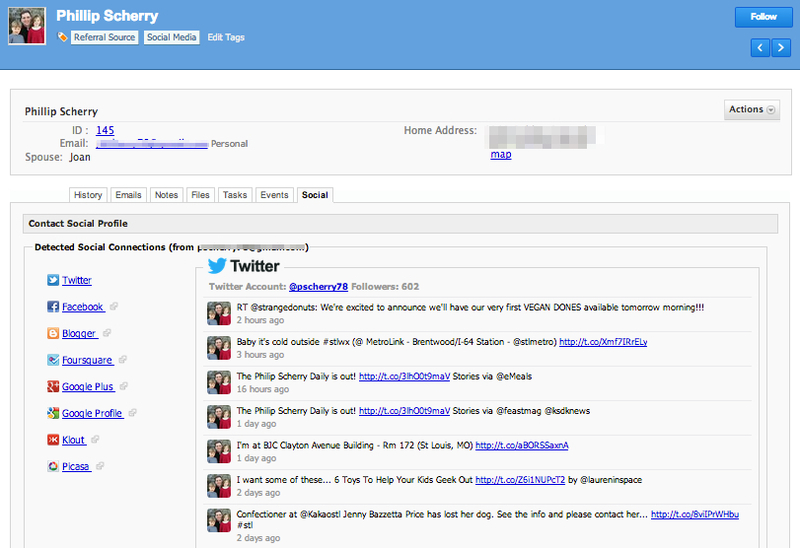 Twitter and LinkedIn are displayed inside the contact record…showing the full profile and recent tweets. Depending on the accounts it pulls up, a profile picture may be automatically added to the contact record (though you can change it if you like). In checking just a few of my contacts who are active on social media, I found links to Facebook, Google+, Klout, FourSquare, Yahoo, Firiendfeed, Blogger and Picassa. This feature alone is worth using Insightly! The best way to build relationships with your contacts is to chat with them where they hang out most, and Insightly can show you where that is and make it easy for you to connect with them. BUSINESS BUILDING TIP: Check out your contact’s recent tweets or status updates before making a call. When you are talking, let them know that you are following them in social media by mentioning something they shared recently. 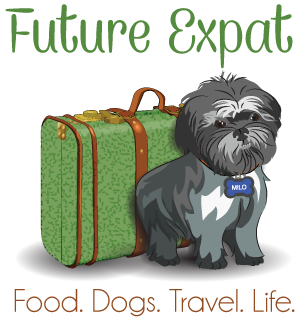 Offer your sympathies or congratulations, or simply tell them how cute you think their baby or dog is. If they are sharing publicly on social media, they love people who pay attention. Be one of those people and they’ll remember you. I don’t currently have the need for a contact manager that supports teams, but I have in the past so I know what to look for in CRMs for teams. Insightly covers all of the bases. You can assign tasks and permissions to different team members, letting everyone see everything or let your junior team members only see their own contacts. You can follow a contact, organization, project, email or note and get notifications when there is an activity. This would be perfect for teams working together on a project or for a team leader to monitor what all of the members are doing. You can even create your own branded background and login address for your team to give Insightly a custom feel. Amazingly, the team feature is available in the free plan for up to 3 users. Larger teams will need to upgrade in order to give everyone access. Keep in mind that when I had a team plan on Top Producer, I was paying almost $100 a month to have 3 team members. BUSINESS BUILDING TIP: Everyone on your team should have their own user profile so you can assign tasks to each person and monitor who is following through. Don’t simply have everyone log in under your ID…you’ll never have any idea who messed up all of the phone numbers! Mobile App – the iPhone app is free and makes it very easy to pull up your contacts, make phone calls, email, find addresses, edit records or add notes from your phone. Not yet available on Android. Company Names (called organisations) – Insightly automatically creates a list of every company listed in a contact record. Pull up a company and see everyone who works there. 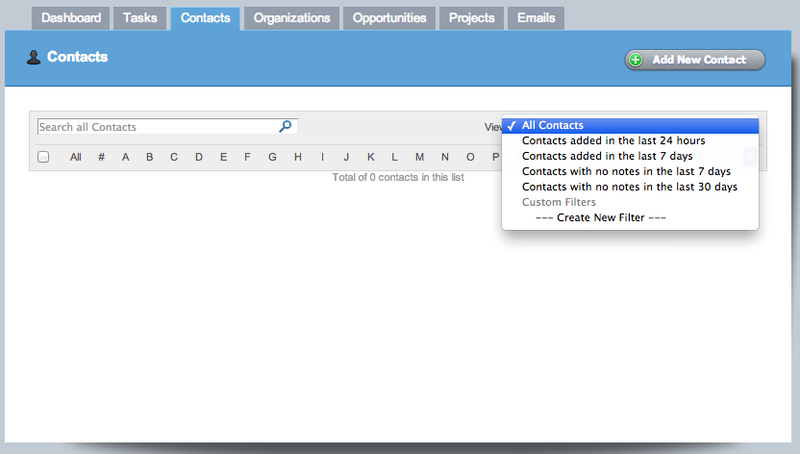 Custom Fields – you can create up to 10 custom fields for contact records, organizations, opportunities and projects. Each custom field can be formatted as text, date or a drop down list. Evernote integration – I haven’t tried this yet so I can’t comment on how this works, but I use Evernote a lot so I’m sure this will come in handy. Calendar – view your tasks and events on a calendar, and add these items to Google calendar or iCalendar. Tasks – easily add tasks and tie them to a contact. Set due dates and who is responsible for each task. Notification settings allows you to give yourself reminders or be notified when your team members complete tasks. Opportunities – keep track of potential opportunities including anticipated income. You can also create a pipeline for each opportunity with activity steps along the way. Real estate agents could use this to to add a prospective seller as an opportunity. Then add a pipeline to track where you are in the process – appointment scheduled, listing appointment completed, listing contract signed, contact accepted, contract closed. Opportunity Reports – if you are adding your potential opportunities to Insightly, then you can run reports to see how you are doing and why you are losing out on some deals. While the free plans offer everything above, some users will find it well worth the money to upgrade to one of the paid plans. Upgrading allows you to sync your Google contact list, sync your Google calendar and connect your account to Mailchimp so you could send out newsletters and mass emails. Paid plans start at $29/month which is lower than all of the other CRMs I’ve used in the past. If you aren’t sure, you can try it out for a month and see if you think the upgraded features are worth it. You aren’t locked into a contract like I was with Top Producer, and you can downgrade back to free anytime. No software program is perfect and Insightly is no exception. I didn’t find much that I didn’t like but there are a couple of things you should be aware of before you move your contacts to Insightly. The only complaint I have is that I won’t be able to mass email contacts directly from Insightly. While I could upgrade and send out my emails through my Mailchimp account, I don’t really want to set up campaigns for every email with multiple recipients. If I could mass email out of Insightly, I could see sending a simple email to all of the contacts I have tagged as investors when I run across a property that is a great rental opportunity. Or I might pull up all of my contacts that live in a certain zip code to let them know about an event happening in their town. I’m hoping Insightly will consider adding this as a feature in a future upgrade as it’s something that every other CRM I have used has offered. In the meantime, it’s not enough of a problem to keep me from using the service. My workaround will be to do a filter search down to the contacts I want to send a mass email to and then do a quick export to pull up their email addresses. I can then send the email from my gmail account and bcc: Insightly so the email is attached to each contact’s record. If I decide to to a mass mailing, I’ll do the same thing to create mailing labels or a mail merge letter. While it would be nice to do this inside Insightly, I needed to do an export for mailings on the other CRMs I used. Drip campaigns are a big deal to a lot of real estate agents and sales professionals trying to solidify a new relationship and move a potential client down the sales funnel. I personally don’t use drip campaigns. I’ve tried them in the past, and it just isn’t my style. I’d much rather connect via social media or in real life and build my relationship naturally. For me, the fact that Insightly doesn’t offer drip campaigns isn’t an issue at all. But if your business plan includes drip campaigns, then Insightly might not be the best fit for you since Mailchimp is great for email campaigns where everyone on the list gets the same email at the same time, but doesn’t have a way to do drip campaigns. Check out Insightly for yourself and let me know in the comments what you think of it. Thanks for sharing — I’m looking for a CRM right now actually and will give this a try! Thanks! That is good timing! Glad to pass along another option to you. It’s good to know about this program. I use Excel and my desktop computer mostly, but it would be handy to have Client contacts on my phone too. I’m a jewelry designer. I used Excel a long time ago and actually lost a ton of contacts due to a corrupted file and not having a recent backup. Once you get used to having contact records in the cloud, you’ll never want to go back. Insightly now has their mobile app availabe on Android as well. Thanks again for this post Karen. I just went over it again and decided to give Insightly a try. I love that they have a plugin for Outlook users like me too! i like to clear one thing about insightly. when i send mail from insightly to other contacts that time my insightly id in bcc and i can get copy of send mail. when someone send mail to me means it going to my gmail account, cant get insightly account.please help me. how can i get mail to insightly account!!!!! You can forward the email to your Insightly email account name. Thank for your a wonderful review that taught me many things that Insightly can do that I did not realize from first use testing it out. pranks, bathroom vids, and concealed cameras.